It's day two of work-and-school closures owing to Hurricane Isaac's path through the Gulf Coast. So today's science-for-kids activity in the Powered by Osteons household was: edible anatomy. 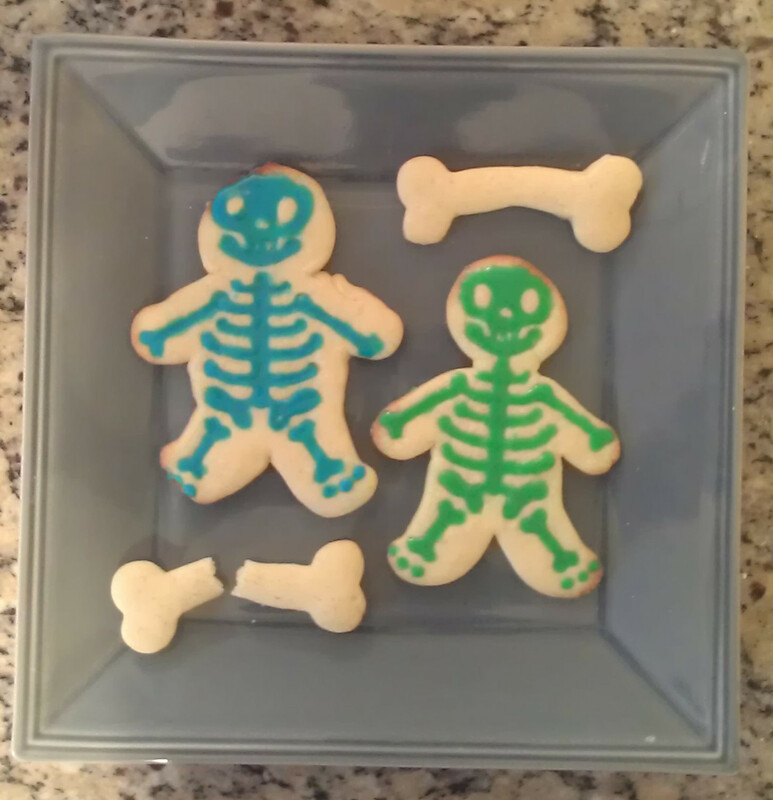 We used this Gingerdead Man cookie cutter and a bone-shaped cookie cutter in sugar cookie dough, then "painted" them with colored icing. I wish I could say that we had a nice chat about skeletal anatomy (and the fact that one bone is broken and the other bone looks like it has rickets), but once you get a few cookies into a three-year-old who isn't allowed to go outside because of the torrential rain, all bets are off. I LOVE those skeleton men. I am feeling the need for some halloween gingerbread men now. You got mad icing skills! And those are absolutely adorable cookies.